Adobe Flash technology is used to play interactive and animated internet web pages. Anything built on flash needs flash player on the clients mobile/PC to get them played. Adobe flash lite is a mobile version Adobe flash player. Many Nokia Nseries and Eseries devices ship with Adobe Flash Lite pre-installed. 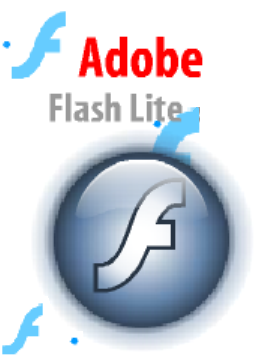 Adobe started shipping Flash lite 3 players with all supported mobile phones released after January 2009. Adobe Flash lite 3 is a standalone SWF (Shock Wave Flash player. It can play SWF files on mobile phones and web pages along with SWF applications and themes. Adobe Flash lite 3 doesn’t support FLV (Flash Video Files) that is used in Youtube or Metacafe. You can use Mobile Youtube players like Mobitubia and emTube for this. Some applications, web pages and games also use Adobe Flash technology. Having the Flash Lite player let you install and run all these stuff. Latest Android handsets support Adobe Flash 10 mobile application. It is better than Flash Lite and make the device support native YouTube and Flash video playback. Downloaded and ran the cab on my Motorola Q9c. I can see Appzone.exe and about 6 dlls – but it won't execute at all. Installed the appropriate version on my Nokia N82 and firstly it doesnt create a program icon anywhere but I was still able to set .swf files to open with it but when opened it said "AppZone corrupted. Please reinstall" and the option to abort. How Download? I dont see any link to down..I need it.. I just got Nokia 5230 and its S60 v5 and all but the execution is extremely poor! Ovi dsn’t open at all, all the software updates fail, podcast shows ‘Search Error’, pictures can’t be edited anymore, and except going to the service center, I’v tried everything else! And the link to update with Flash lite 3.1 shows error..just like everything else!! no flash lite for android>?? i need install for e71…. Hi, I already have a flash lite 3 app, compiled into a swf. All I want to do is, package it to a cab and check on any Windows Mobile emulator. How is that possible? I tried using ‘Helisso’, but the tool goes to an infinite loading on conversion. @MOHD SHOEB: Do you mean installing FlashLite 3 to the Samsung Wave II, or installing Flash Lite 3 app to it? I know for the app, you need a ‘bada’ SDK and then just point to the swf file and convert it to the device compatible ‘exe. Wont be able to tell you to install FlashLite 3? I have a FlashLite installation SIS for Nokia Symbian Phone…I don’t remember where I downloaded it from, but anyone requires, I can try to email it. FlashLite 3 for Nokia Symbian is also available on as ‘adobeflash_ovmvc79q.sis’. If you still have a problem, I can send it. where is the link to download the flashlite please.